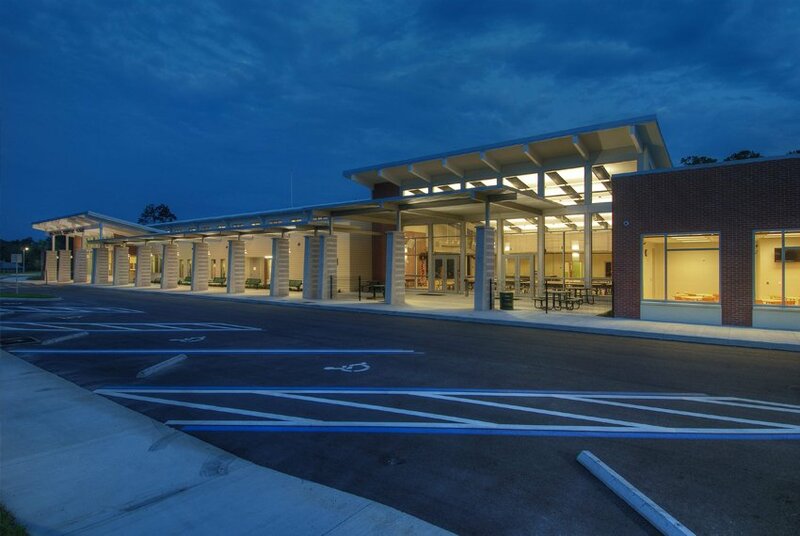 The site design included three driveway connections to County Roadway, 162 parking spaces, a network of drive aisles for student drop queuing, covered play court area, grass play fields, a maintenance building, amphitheater, sidewalk facility, potable water system, sanitary sewer system, separate bus drop off and pick up loop, retaining wall systems (+/-35 feet of elevation change across the 15-acre site), off site turn lane improvements, and 437 linear feet of 16-inch water main extension for future connections. Multiple neighborhood work shops were conducted to ease the surrounding residents concerns and questions. This resulted in the acceptance and endorsement of the project by the residents and public. This project also received Green Globe Certification, which is a world wide certification label for sustainable management and operations. CHW is providing land planning, urban design, land surveyor and mapping, and civil engineering services.